It isn’t a therapy or exercise system. So then - exactly what is it? Briefly - The Feldenkrais Method® is a way of getting rid of pain and moving more easily, so that you can live the life you want to live. How Did the Feldenkrais Method® Develop? Dr. Moshe Feldenkrais (1904-1984) was an engineer, physicist and Martial Arts Expert. Early in life, he developed an extensive knowledge of linguistics, biology, perinatal development, forensic science, athletics and a love of Sherlock Holmes! Dr. Feldenkrais suffered a severe knee injury, but instead of opting for surgery, he taught himself to walk again. This event was the catalyst for the development of the Feldenkrais Method®. 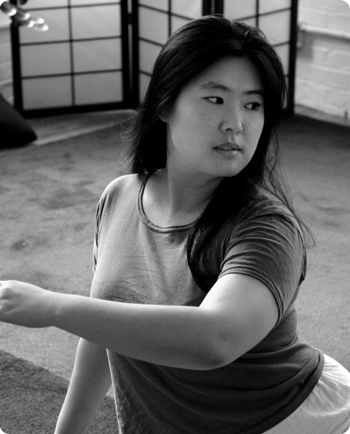 How do You Teach the Feldenkrais Method®? 1. Awareness Through Movement® group lessons - taking the group through a series of specially choreographed, repeated movements. 2. One to One Sessions or ‘Functional Integration lessons’. Is The Feldenkrais Method® For me? Yes - if you suffer from pain, discomfort or stress, resulting from accident, injury or illness. Are you a new Mum with a bad back or shoulder problems due to carrying and feeding? Do you suffer with Parkinson’s? Are you recovering from a stroke? Or perhaps you’ve been badly hurt playing sport? Do you need to re-learn how to walk or run? Is your problem physical or psychological or both?